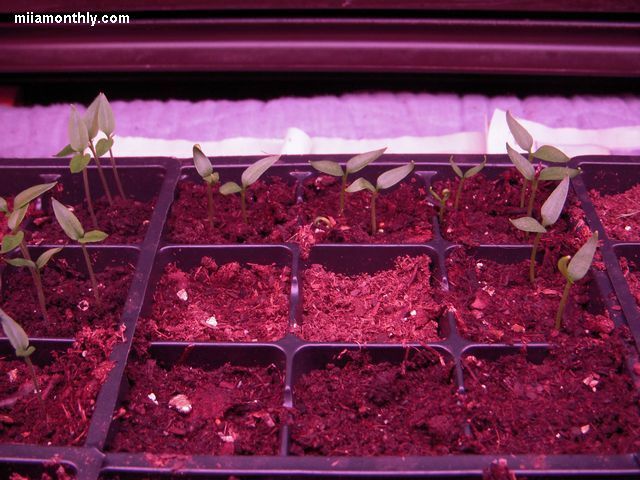 Amazing what another five days of growing will do, but it looks like I have a mixed bag of results as far as seeds that ended up germinating. 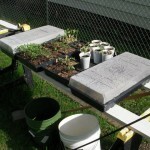 I have to say that I’m not 100% sure that the parsley, cilantro, oregeno, and rosemary have failed. 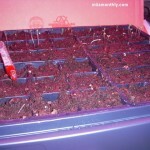 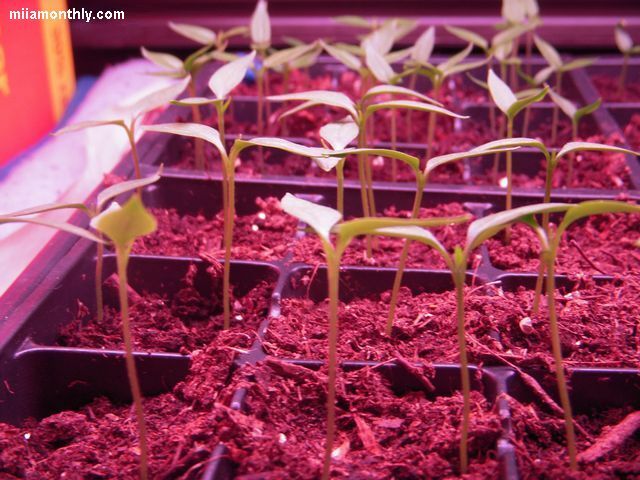 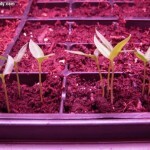 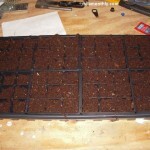 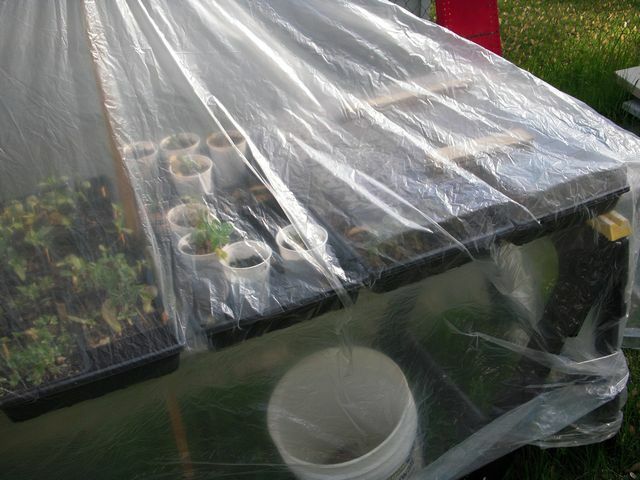 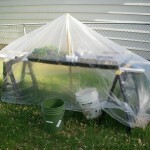 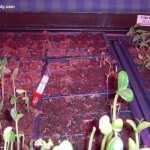 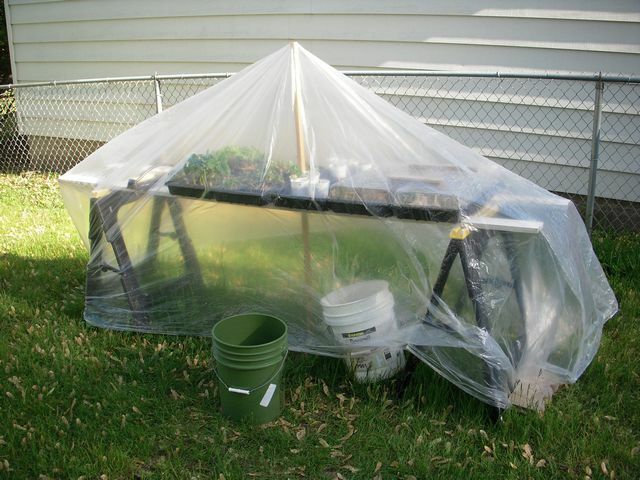 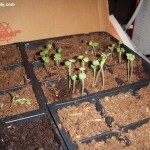 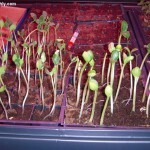 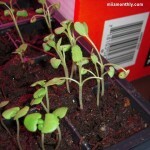 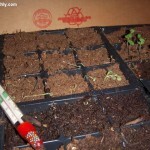 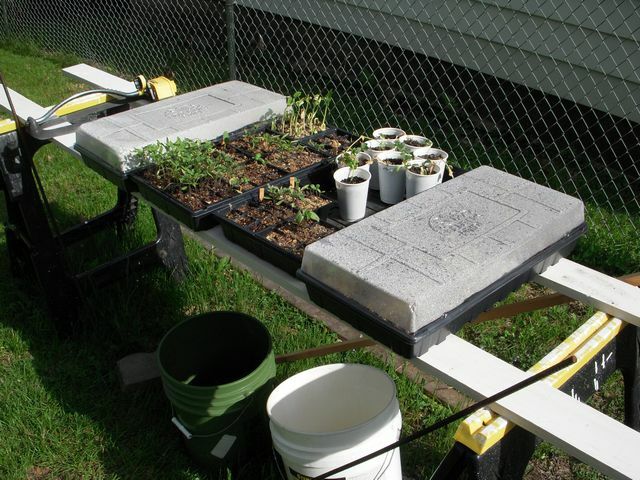 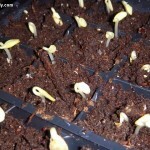 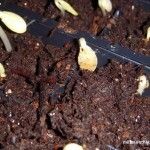 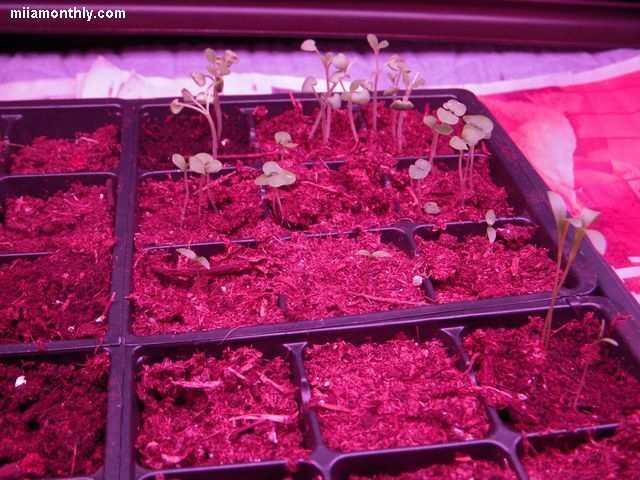 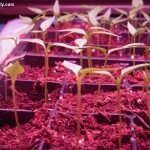 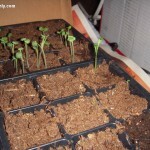 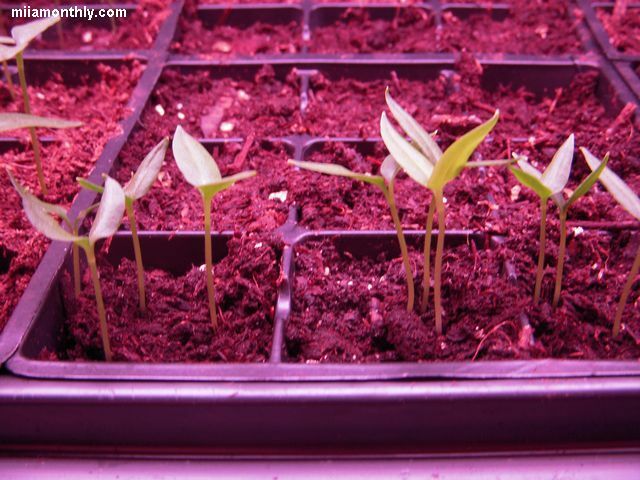 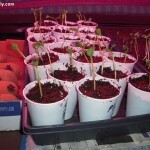 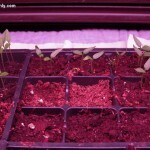 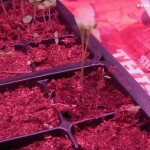 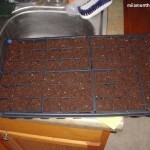 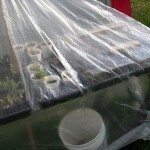 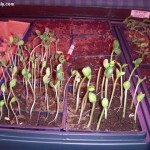 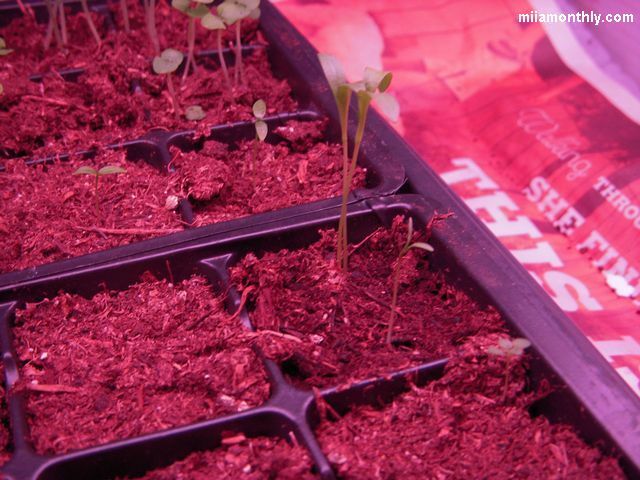 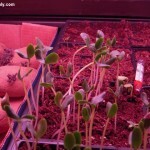 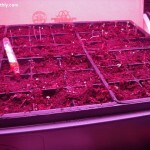 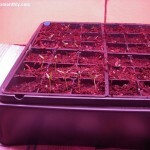 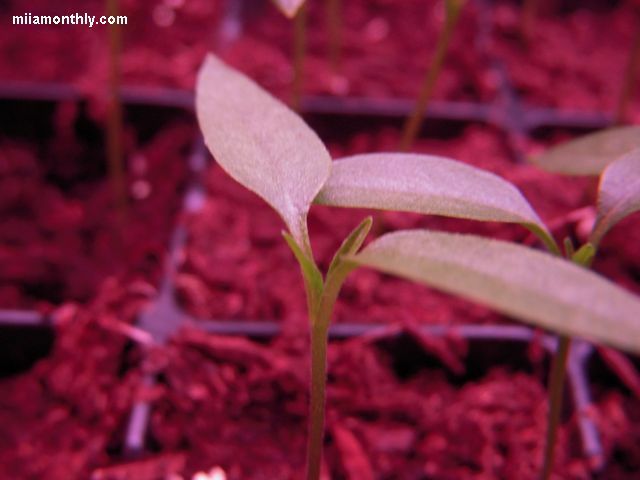 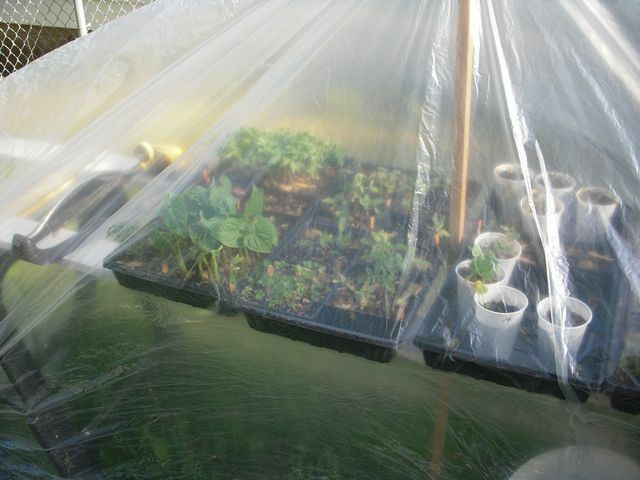 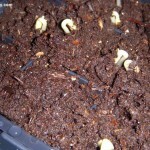 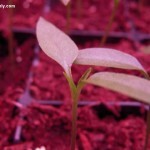 Since all those herbs take anywhere from 14 to 21 days to germinate. 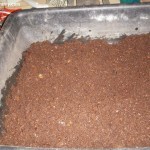 So before I toss out all the dirt in those flats, I’ll give them another week or so to do their thing. 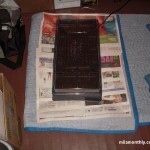 It’s been a little bit tricky, figuring out how to get the temperature just right on the heating pad. 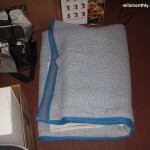 Since when I wrapped the whole flat in a movers blanket, the temperature inside the flat shot up to 95F. 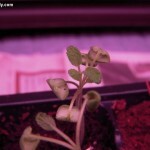 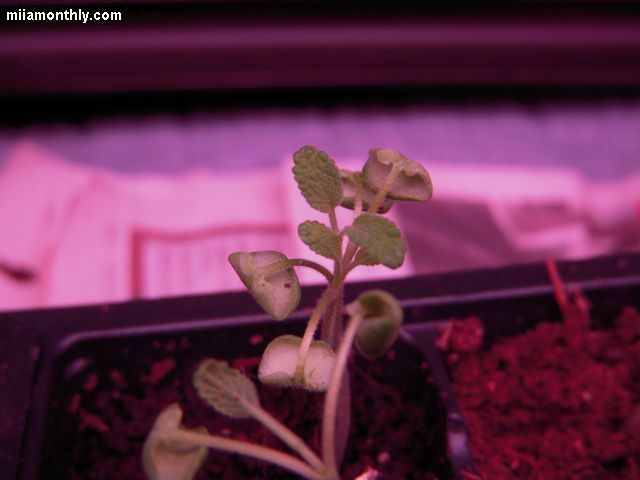 So I’m going to test out simulating the heat and light cycle of the sun in the growing area. 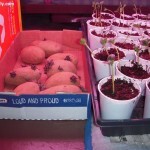 So last night I set up a make shift growing station with a grow light on a couple of copier boxes, with the heating pad and the grow light both plugged into a timer. 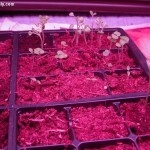 The basil ended up sprouting this past weekend, which was a lot quicker than expected. 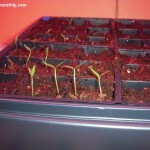 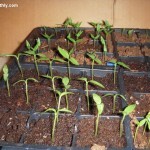 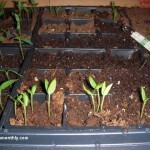 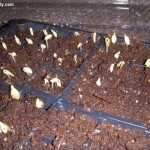 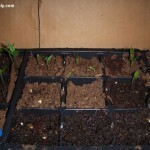 And when I checked the flat this morning, I started to see some activity on the El Jefe jalapenos and the sage. 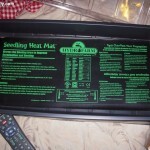 As it currently stands, it seems like the heating mat is cutting down the germination time almost in half, which is pretty amazing. 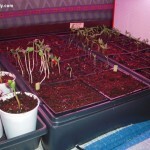 That is of course, with me assuming that the seeds that I saved from last year are still viable. 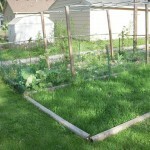 Which is the big question mark for the garden this year. 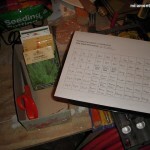 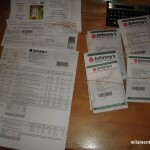 When I reviewed all the seeds that I ordered, I noticed an interesting trend with a large portion of the seeds that I ordered. 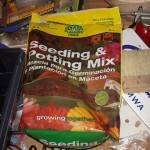 In that maybe two thirds of the seeds that I ordered, are seeds that need to be directly sow into the ground. 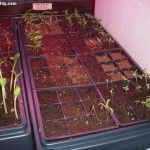 So really the only seed starting that I’ll need to do this year are for the herbs, peppers, tomatoes, zucchini and cucumbers. 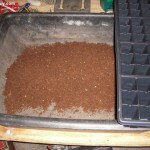 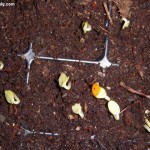 One little tool that I picked up this year, are two seedling heater mats. 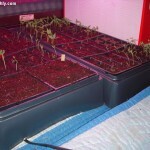 We’ll see if they are any help in germinating my seeds, since I keep my house right around 63F, so any extra heat to get the seeds off to a strong start is a bonus in my book. 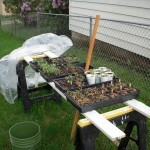 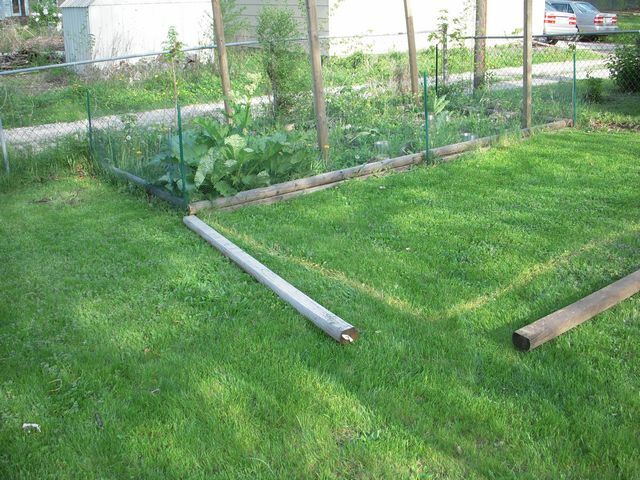 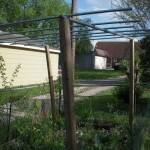 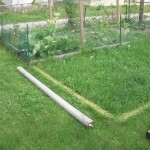 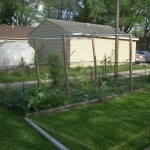 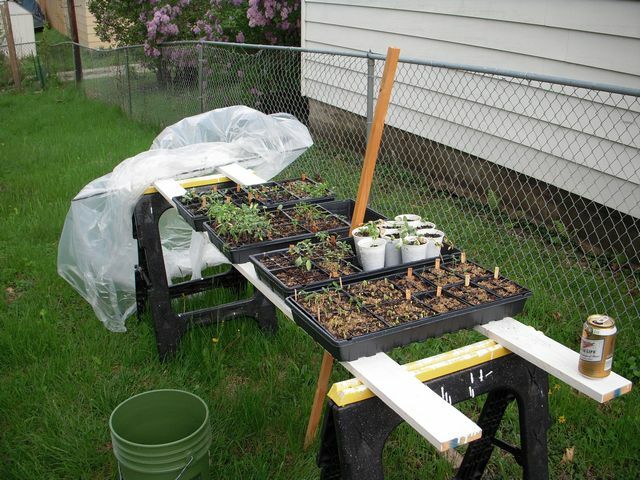 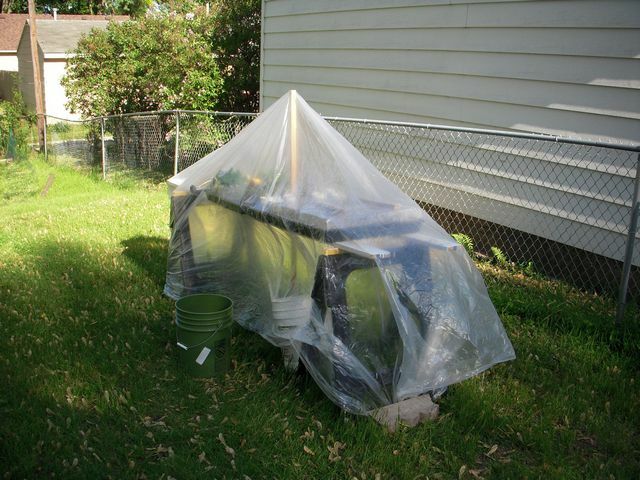 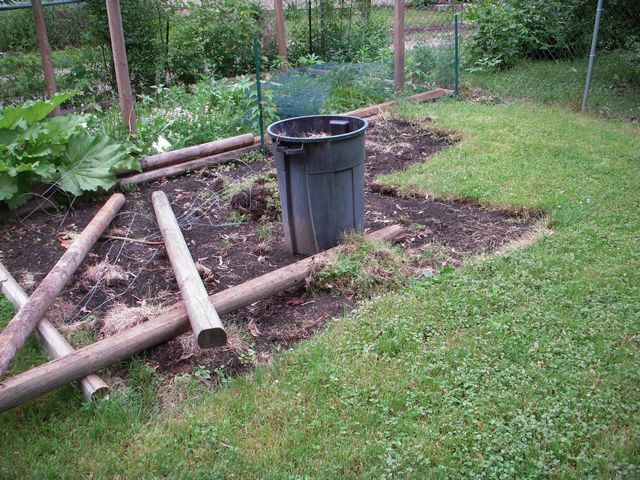 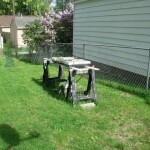 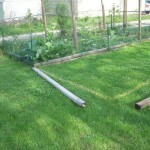 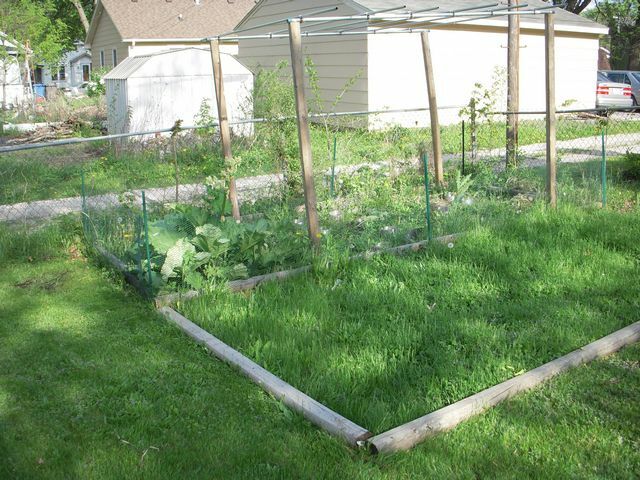 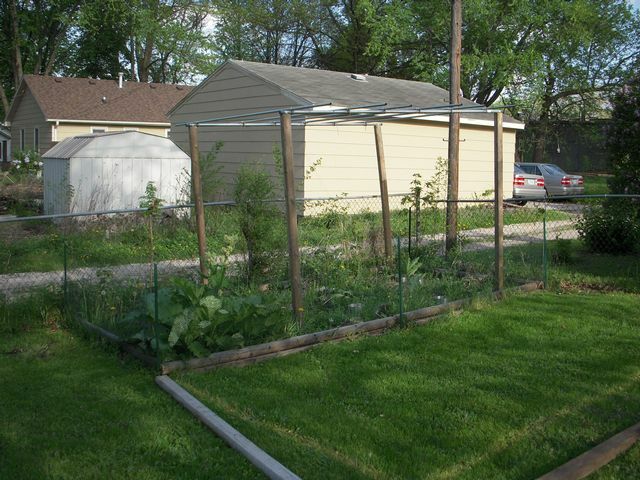 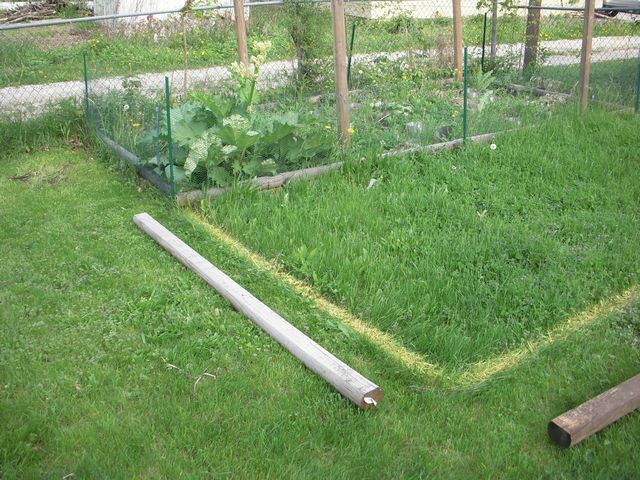 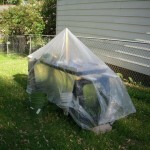 This year I’m going to double the size of the garden, so it will be going from 8′ x 16′ to 16′ x16′. 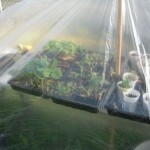 The rhubarb is going to take up a lot of space this year. 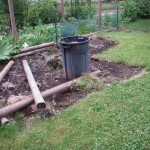 About a 4′ x 8′ section of the garden is already being used up by the rhubarb. 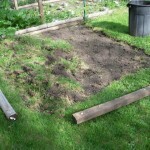 I finished about half of the digging last weekend, and about another quarter this weekend. 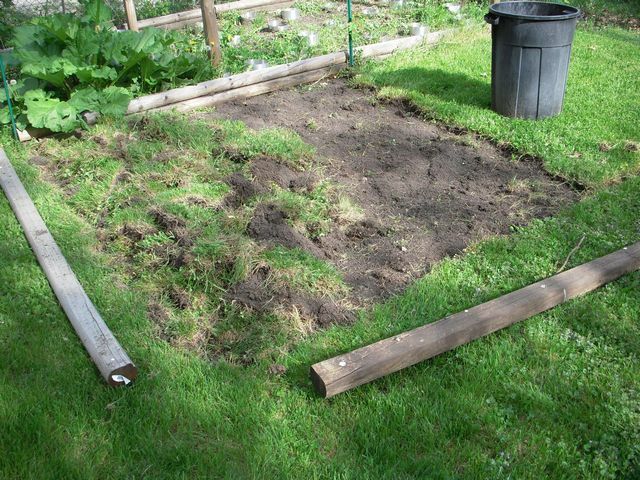 I ended up using a mattock it dig up all the grass. 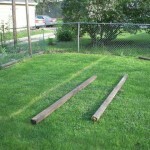 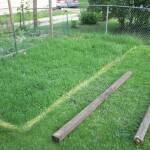 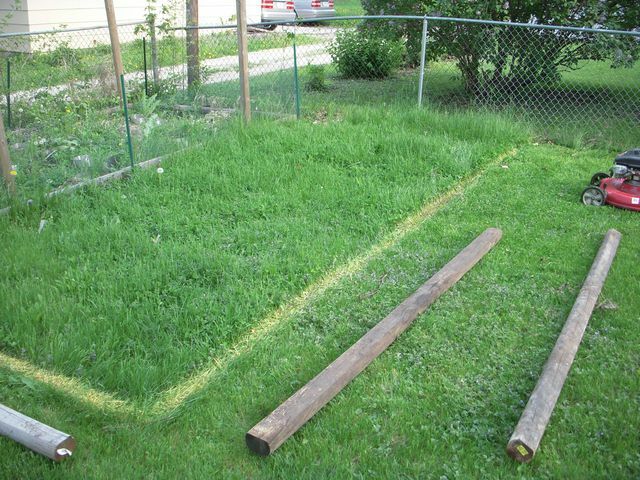 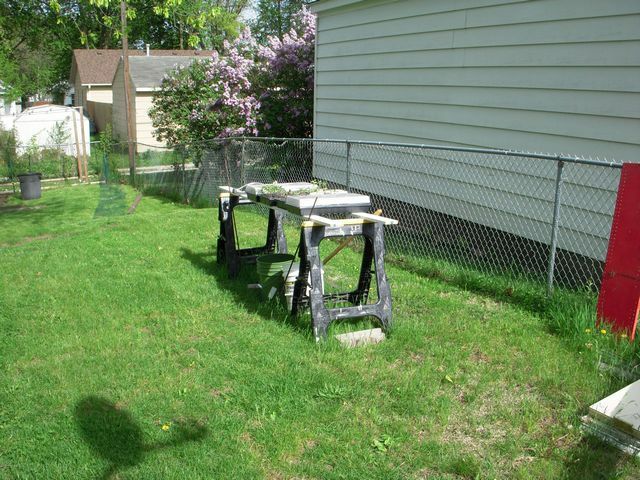 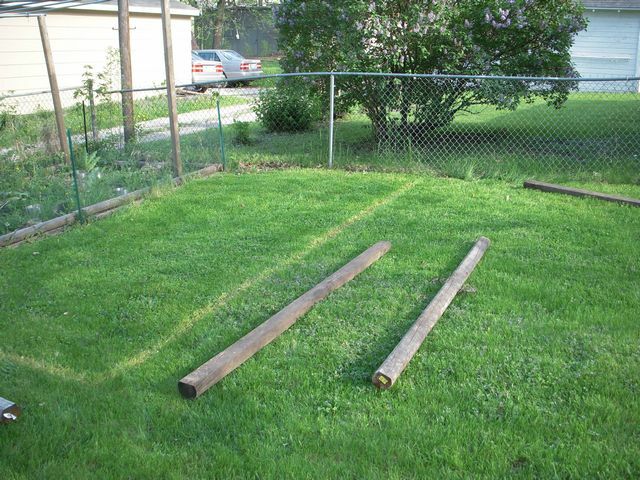 If I owned or had rented a roto-tiller, this would have been done in a couple of hours. 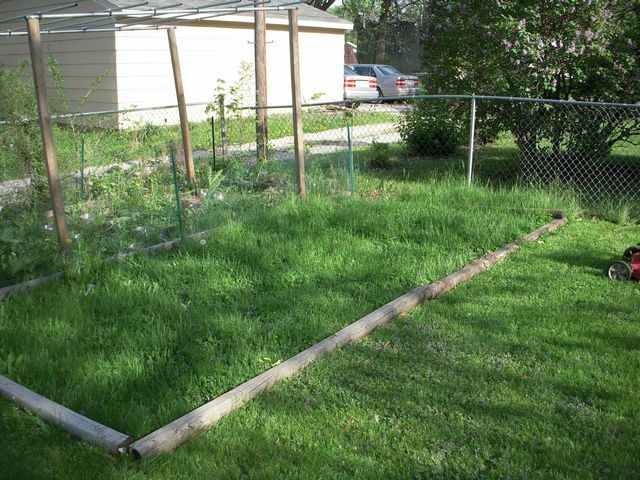 I guess I’m a glutton for punishment. 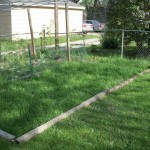 Original garden full of weeds.